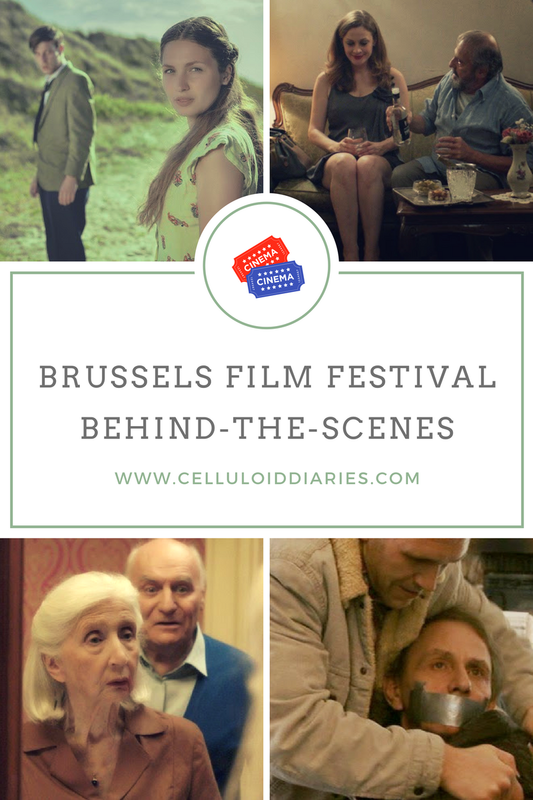 After attending the film festivals Offscreen, BIFFF and Cannes earlier this year, I had the chance to be invited to the Brussels Film Festival which specializes in European cinema. Usually, when I go to a festival, I try to see as many films as possible. Things have been so crazy around here lately that I had to slow down a bit on the movies this time. Actually, I spent most of my time at the festival hiding away in the quiet corners of the Flagey cinema to get some work done. 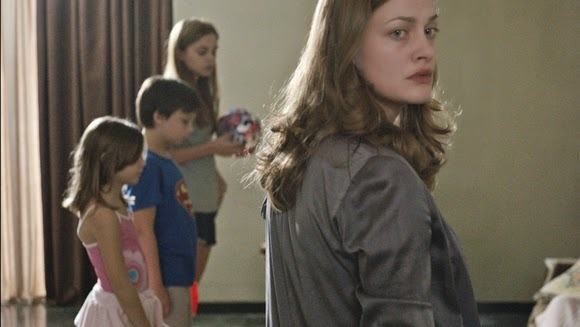 During my first day at the Brussels Film Festival, I watched Miss Violence. I was looking forward to this Greek film since it was awarded the Silver Lion for best direction at the Venice Film Festival, but it wasn't as good as I'd hoped. Miss Violence was the kind of film where everyone did a lot of staring and where silences lasted long enough to make you check your watch. Only in the last section of the film, once the family secrets were revealed, did the pacing pick up and did the movie become somewhat interesting. 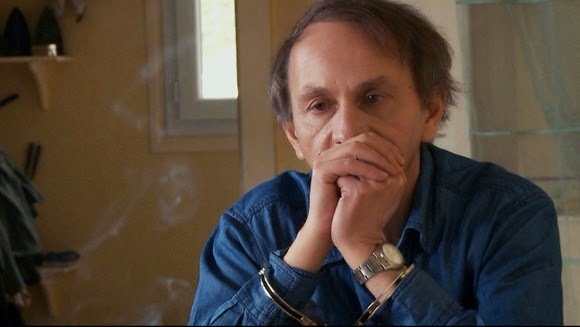 Next on the program was the French film The Kidnapping Of Michel Houellebecq (L'enlèvement de Michel Houellebecq). In case you wouldn't know, Michel Houellebecq is a famous French author known for his wayward style and personality. In this film, in which he plays himself, he's abducted by gangsters. Hellbent on receiving the best possible treatment, Houellebecq starts asking for little favors such as a lighter, a book, better wine, and a woman to spend the night with. And, of course, he gets what he wants, because his kidnappers are too star-struck to deny him these favors. The Kidnapping Of Michel Houellebecq bears the mark of the author's wit and style. And while the film may not be as brilliant as his books, it was original and laugh-out-loud funny. 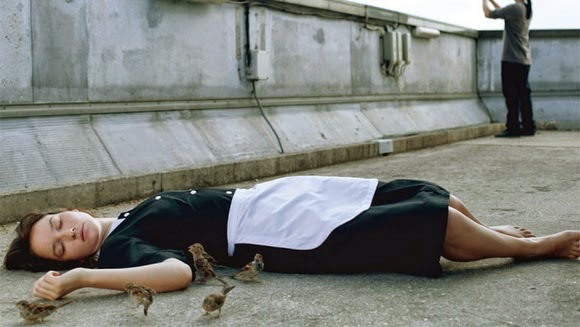 During my second day at the Brussels Film Festival, I went to see the French film Bird People. A guest and a maid at an airport hotel dream of freedom, of leaving behind their current lives. Both will get that freedom in their very own way. Despite a few misses (such as an unnecessary and irritating voice over that luckily lasts only a minute or two), I found Bird People to be irresistible, especially its honesty, fleshed-out characters, recognizable dialogue, and weird but cute ending. I also managed to watch a batch of short films at the festival. The first one was Lilith by Maxim Stollenwerk. I met Maxim at Offscreen, and his dedication to the craft made me curious about his films. That devotedness shows. For a guy who's still in school, Lilith is professional and polished, showing signs of a profound cinematic knowledge. If he can pull off this level of quality with so little experience, I can only imagine how excellent his future films will be. Albertine, from my friend Alexis Van Stratum, is about an 81-year-old woman who's isolation after her husband's death is shambled when a neighbor offers to help her with a broken lamp. 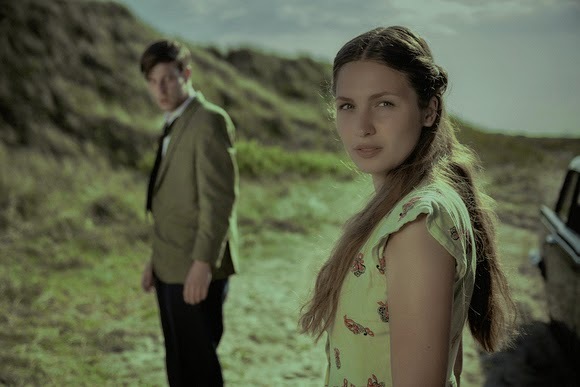 As always, Alexis' short film is recognizable, classy, and beautiful. Why this guy isn't a household name yet is a mystery. Other shorts I saw at the Brussels Film Festival were: Cadet from Kevin Meul (interesting story in which a father pushes his 13-year-old son to be the best in his sport, but instead brings out the worst in him), Les corps étrangers from Laura Wandel (not sure what point the director wanted to get across), José from David Mutzenmacher, Alexandre Bouchet and Gaetan Liekens (I'm sure the three directors had as much fun making this film as the audience did watching it), and De Honger from Benoit De Clerck (visually stunning). Je had wel heel drukke dagen met het filmfestival. Leuk dat je af en toe in de stille hoeken ging zitten om wat te schrijven, zie het zo voor mij. Nu weten we ook welke films we best kunnen bekijken. Prettig weekend! The Michel Houellebecq one does sound quirky, especially as he plays himself. Like that film Van Damme did as himself. Thanks for the synopses and reviews. Have a great week! I'd be all over the one with that cute old couple and the pregnant ladies swimming. The kidnapping? Well, I'm a wimp. How do you plan all of these trips? Do you do it for fun or as part of a job? ⒽⒺⓁⓁⓄ et MERCI chère Vanessa pour ce partage sur ton joli blog ! Bird People sounds interesting. It's so nice that you have seen these films and are able to tell us about them. 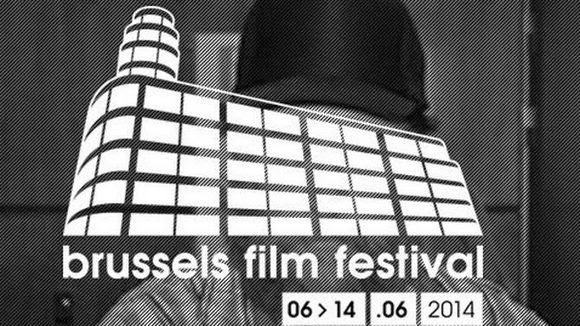 Je hebt precies een heerlijk filmfestival achter de rug hé? Wat een prachtige prenten heb je gezien aan dit wervend log te merken! That's real interesting how an author plays himself. Usually I've only heard of authors making a cameo appearance. It is not good that a film picks up in the last portion. I'm interested in Albertine. It looks as though your friend and the actors did great work with that one. Looks like there was a really interesting variety of films to see. Lots of interesting films I'll never, ever see! I don't watch many movies these days. I'm not a big fan of lots of staring. Bird People in particular sounds good. I like that still of the pregnant women in the swimming pool. I'd love to go to Cannes some time. Thanks for sharing with us. Stopping by from Untethered Realms. Bird People does sounds really good. People should ask for better wine, especially in France. This is an excellent quote. Love it! Just getting up and going somewhere out of your comfort zone is definitely a great way of learning – and learning things you never even realised that you didn't know. So natural capture. All the images seem to be quite interesting. Bunches of intriguing movies I'll never, ever observe! I don't watch numerous motion pictures nowadays. have shared an extraordinary post . So you have bounty a debt of gratitude is in order for such enlightening here . Hoppe that , The picture takers will more profit here . How spanking this post . I appreciate it and keep continue sharing . You are shared very nice post.Thank you so much. Thanks for sharing nice idea. Love to read more helpful articles. Thanks for share, I appreciate it and keep continue sharing .